Family Solutions & Wellness Center | I do! As we walk forth into the new year, resolutions are made and hopes fill our minds for a better year ahead. Is your marriage one of those areas that you’re hoping to see improve this year? If not, it should be! Relationships are work, and not in the this-is-such-a-burden way, but in the this-is-worth-it kind of way. We work hard at the gym to lose weight or increase muscle. We work hard at studying to gain knowledge and achieve good outcomes (good grades, that is). We work hard at our jobs– to perform well, earn money, keep our jobs, and/or get those promotions. So lets work on our relationships, not just here-and-there or when things get really bad, but all the time, in small but meaningful ways, so that we can achieve great outcomes here too! Someone one said, “If your charging your phone more than you’re relationship, then you’re focused on talking to the wrong people.” I don’t remember where I heard this, but it stuck with me. When we are just starting out in our relationships, we are actually “working” and “charging” a lot! We are planning dates together, talking on the phone each evening, taking trips, watching movies, learning about one another, connecting, building memories. This is how our emotional bonds fuse. They fuse, we envision a future together, and we get married- committing to spending forever (gulp!) with this person we adore. So it makes sense that as life goes on and we “work” and “charge” less, these bonds may weaken. Our connection may weaken, our conflicts may grow, and forever might seem like a very long time! I want you to take a moment to reminisce with your partner about all the fun you had while dating. What did you enjoy doing together? What memories are your favorite? What made you want to marry your partner and do this forever thing with them? 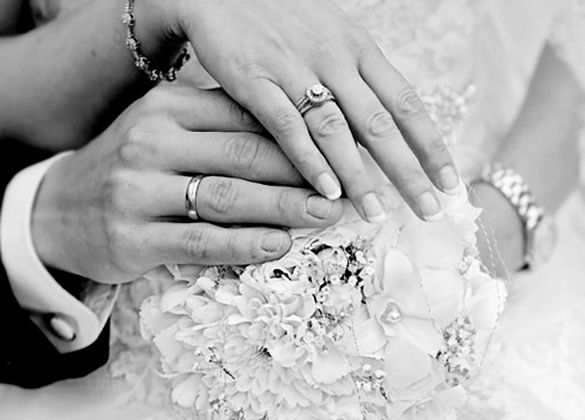 Do you remember your wedding day- how you felt, what highlights stand out from that day, what vows you made together? Take a moment to read the below passage. Reflect on your marital strengths, and become mindful of areas that can be worked on. Take some time to think and write alone, identifying the vows you want to make for this year ahead. Then set a time where you and your partner can share your 2017 vows with one another. Carry these vows with you each day, being mindful, intentional, and purposeful. If after this activity you’re not quite feeling so stellar, we are here to help. As Marriage and Family Therapists, relational health and happiness is of utmost importance. Phone consultations are available, so that you can find the right fit. Just remember, sometimes a personal trainer, attending a training at work, or heck- actually attending class when your in school is the best way to learn, succeed, and achieve. We are here to help.